A couple of months ago, Benjamin Adjepong, a 55 year old certified taxi driver from Ghana who lives in the Bronx found $6,664.64 in cash a chinese couple had left in his cab turned the money in without hesistation. Today, Mr Adjepong, the Ghana-Bronx Hero, has visited the anscestors. His death occurred at the North Central Hospital on January 28, 2005 after short illness. 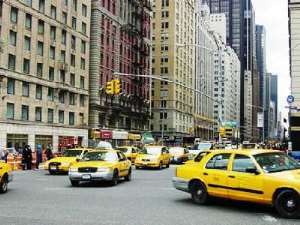 The story about the hero was published by the New York Daily News with the caption "Cabbie goes extra mile after 6G find" and also aired on Channel 7 eyewitness news and Fox News.